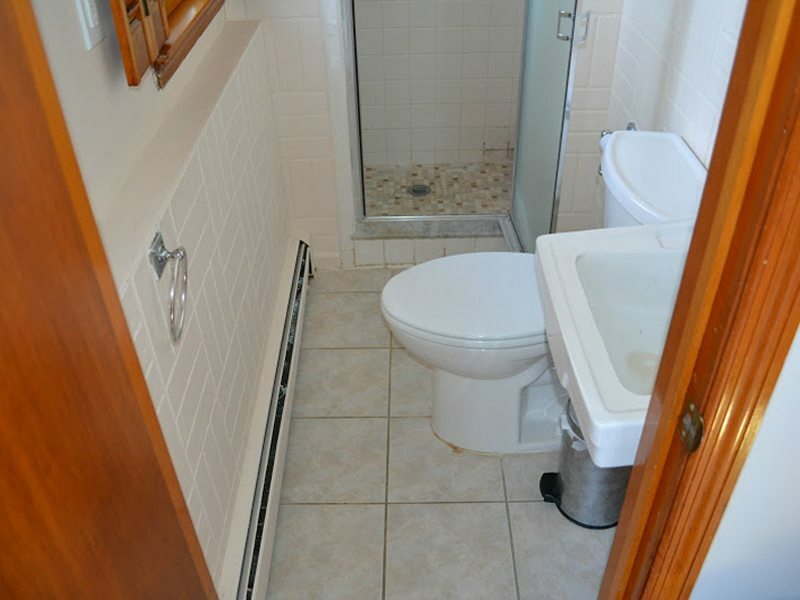 This Cedar Knolls, NJ 07927 home had a bathroom that needed some major improvements. Besides wanting a general face lift for this space, the homeowners also wanted to fix the shower that wasn’t working, and the various leaks. Our team from Monk’s installed new tile in the shower, and the floor, replaced the toilet, and the sink. Our team also replaced the old sheet rock and tile walls with brand new moisture resistant sheetrock. All of these changes lead to a great looking bathroom! To perform this bathroom remodel everything in the room had to be ripped out. The sheetrock was ripped out, all the way down to the studs. The toilet and sink were removed, as well as all of the light fixtures. Even the tile floor was chiseled out. Our team at Monk’s installed new installation in the exterior and interior walls. The bathroom walls were replaced with brand new moisture resistant sheetrock; an important decision in a bathroom where water damage is so often an issue. To complete the tiling job a cement backer board was installed in the shower; this provides a base for the new tiles that would be installed. 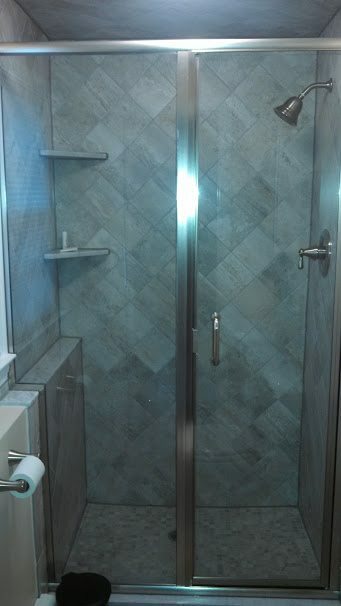 Our team installed new tiles in the shower and on the entire bathroom floor. Finally, a new vanity and toilet were installed. Another job well done by Monk’s! 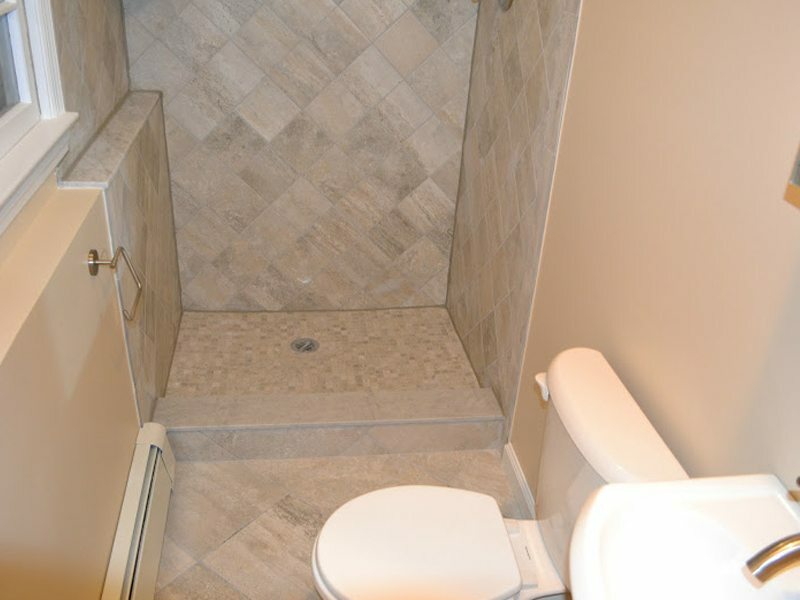 In only eight days this bathroom was completely remodeled! The newly tiled floor looks great! What a transformation- in only eight days! If you are considering remodeling a bathroom in your home we would like the opportunity to tell you why we think we are the best bathroom remodeling contractor in Cedar Knolls, NJ 07927.